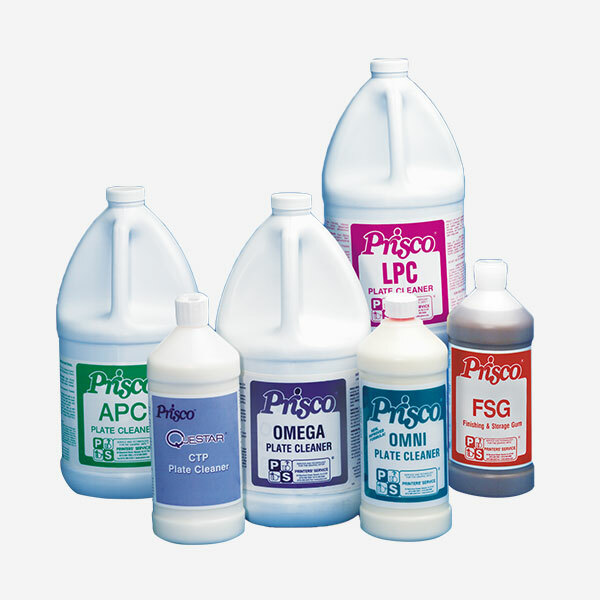 Prisco plate cleaners are available for aluminum offset and DI plates in a number of formulas to meet every pressroom application. Our products are made to clean deeply into the plate grain as well and to provide de-sensitization of the non-image area. Some formulas are very plate safe for non-baked positive working analog and CTP plates. In addition, Prisco has a number of products that are excellent to prepare plates for storage.